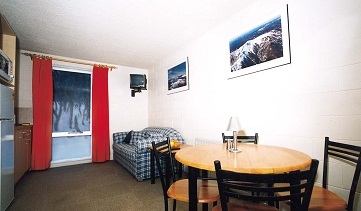 Sugarbush Lodge and Apartments is perfect for anyone looking to enjoy all that Mt Buller has to offer, including budget Mt Buller accommodation just 400m from the Mount Buller village centre and ski lifts. 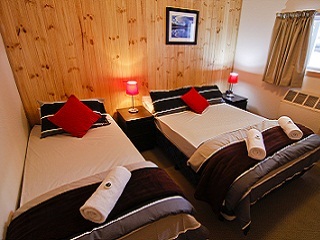 Enjoy a drink and a game of pool by the open fireplace and rest up in one of our bed and breakfast rooms (2-4 guests) or a private apartment (sleeping up to 8 guests) on your cheap Mt Buller snow and ski holiday. Door-to-door shuttle service from anywhere in Melbourne, including the airport to the lodge – the only one of its kind on Mt Buller. Contact us for rates. Double Room : Max 2 people Double room with TV & DVD, washbasin, shared bathroom facilites, communal kitchen, dinning area and TV/Games room. Linen, towels and soap provided. Type A Quad Room with mezzanine, contains 1 Double on lower level and two singles (that can be pulled together) on the mezzanine level, shared bathroom facilites, communal Kitchen, dinning area and TV/Games room just meters from your door. Linen, towels and soap provided. 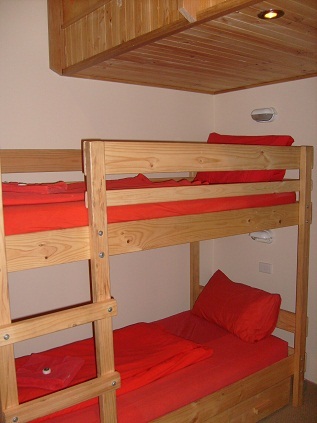 Type B Quad Room with mezzanine, contains 2 single beds/bunks on lower level and two singles (that can be pulled together) on the mezzanine level, shared bathroom facilites, communal Kitchen, dinning area and TV/Games room just meters from your door. Linen, towels and soap provided. 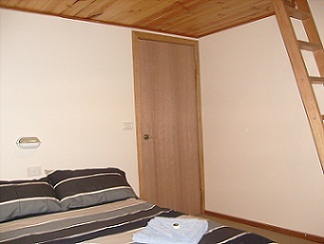 Triple room with one double bed, one single bed, TV & DVD, washbasin, communal kitchen, dining area and TV/Games room. Linen, towels and soap provided. Apartment Type A : Max 8 people Self-contained apartment that comfortably sleeps 6, maximum of 8 at your discretion, private toilet and shower facilities, kitchenette, dining table, couch and TV with DVD Player, all linen, towels and soap supplied. Type A Apartment contains 2 doubles, 3 singles and one trundle bed. Apartment Type B: Self-contained apartment that comfortably sleeps 6, maximum of 8 at your discretion, private toilet and shower facilities, kitchenette, dining table, couch and TV with DVD Player, all linen, towels and soap supplied. Type B Apartment contains 1 double, 5 singles and one trundle bed. All rates are per room. 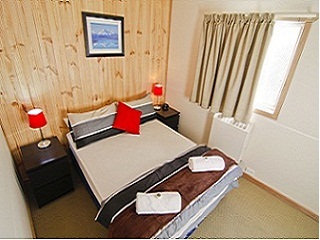 Continental breakfast included for hotel style double, triple and quad mezzanine rooms.